7 Bedroom Terraced House For Sale in Liverpool for Offers Over £300,000. 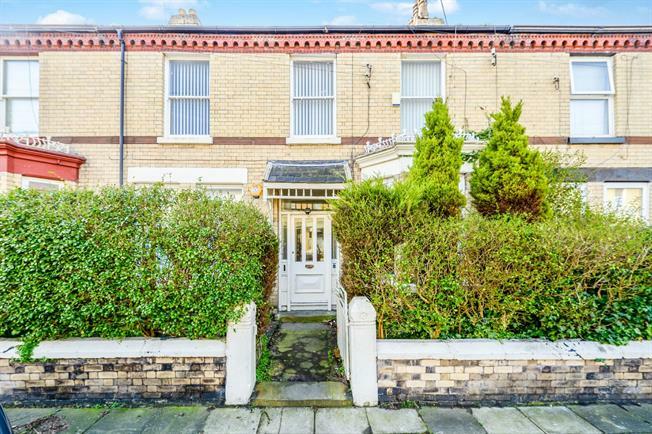 Entwistle Green are delighted to offer for sale this large double fronted mid terraced house, located in the highly desirable area of L17. The property is currently split into two flats and lends itself to either investors looking to keep the property in it's current configuration or for somebody who may wish to refurbish the property back into a large five bedroom house. The current owner has also had plans drawn up for an additional four bedrooms and a bathroom in the loft space. The property would make an ideal investment with the potential rental income of 30,940/year in it's current configuration, or 47,580/year including the loft rooms. Located on Hawarden Avenue, the property is ideally situated for the popular Smithdown Road and Allerton Road, with access to many local shops, restaurants, pubs and parks. The property currently comprises of an entrance porch and hallway, which splits into two flats. The ground floor flat comprises of a hallway, large open plan reception room and kitchen, three bedrooms and a bathroom. To the first floor, which is currently vacant, there are four bedrooms, one reception room, kitchen and a bathroom. Externally, there is a separate outdoor space for both flats. Viewings are by appointment only.